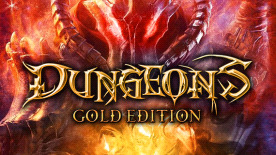 Dungeons Gold Edition includes the fantastic strategy best-seller Dungeons as well as the stand-alone expansion Dungeons – The Dark Lord. In the world of Dungeons, you reign over your own dark underground dungeon, which has been attracting heroes since the beginning of time. Lure fighters, mages and other heroes to your dungeon with the promise of glory, fame and fortune, then capture them before they reach your Dungeon Heart. Experience two epic independent single player campaigns, offering more than 30 hours of gameplay in over 26 missions, or take the fight to multiplayer level: lead one of the four available Dungeon Lords and play against up to 3 other lords in four different multiplayer modes. Shape your dungeon to your liking with 400 breathtaking prestige items, which will make your Dungeon Heart beat faster than ever.